For many companies, corporate travel arrangements are made either by someone’s personal assistant, a dedicated travel manager or even by appointing someone in the office to search online for the best deal. 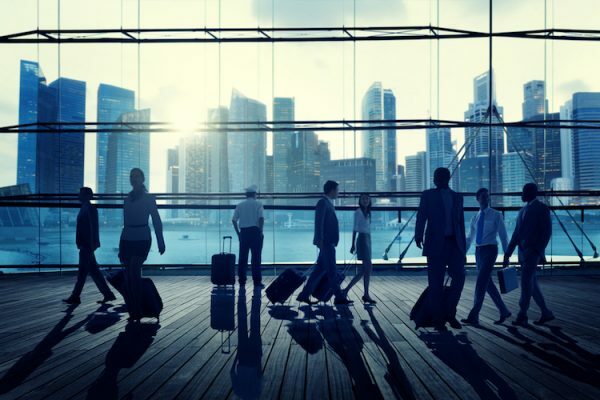 Managing corporate travel is no small task, because travel is often one of a business’s largest expense, and it’s fraught with paper trails, records, and fluctuating travel options and prices. That’s why companies of all shapes and sizes are utilizing corporate travel services to handle the ins and outs of business travel arrangements. Corporate travel agencies have extensive knowledge of the travel industry. This means they know how to get you the best available prices for your business needs. Corporate travel agencies know how seasonal fluctuations affect ticket pricing, the different route options to get you to your destination, and where to look for the best discounts. Corporate travel agents are uniquely positioned to use their industry partnerships to secure corporate discounts, attractive rates, and feature benefits, such as complimentary upgrades. When traveling for business, it’s important to keep budgets as low as possible. Corporate travel agents are experienced at working closing with airlines to negotiate the best possible agreements. They have access to data analytics to help identify the best discounts, and can customized travel plans to your company’s unique travel profile. Their buying power saves your company time and money, allowing you to conserve budget dollars and focus on your business. If you try to plan corporate travel on your own, it might take hours to identify the best deal through online searching. Corporate travel agencies already know where to look for the best deals, including access to deals and relationships not found in a typical online search. When you work with a corporate travel agency, your company is getting ongoing travel support through innovative technologies and mobile platforms. Corporate travel services have solutions for trip disruptions, duty-of-care, and traveler tracking. This saves businesses time and money while providing peace of mind because if any last minute changes pop up, there’s a single point of contact for making alternative travel arrangements. Find out how Teplis Travel can help save your business time and money on corporate travel. Contact a Teplis travel expert today.